GENERON has multiple product offerings to fulfill the exact customer needs. 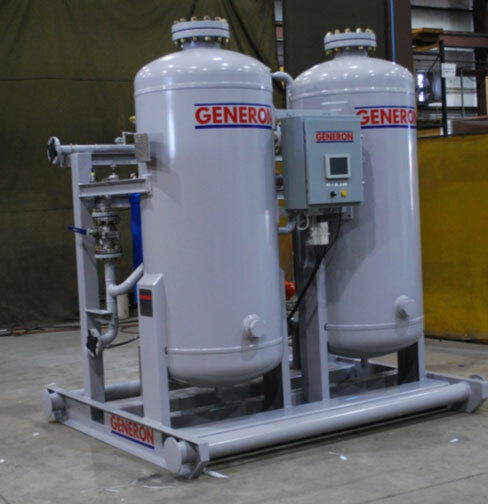 GENERON can supply individual components, such as Primary Air Compressors, Air Dryers, Booster Compressors, or can supply complete skid mounted systems & packages. 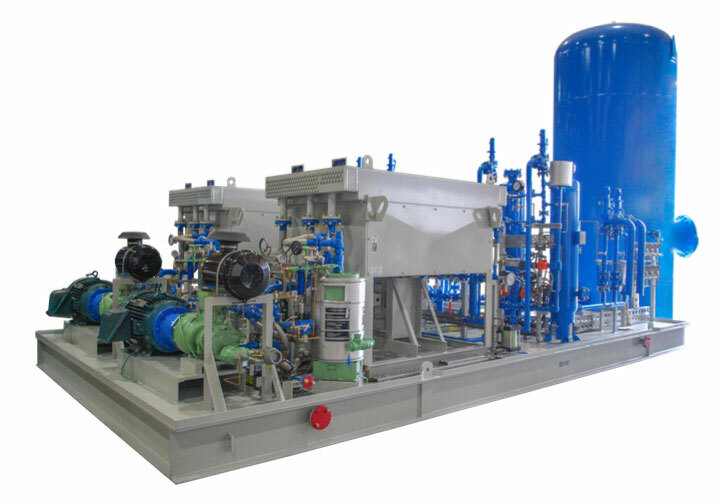 GENERON offers both oil-free and oil-flooded rotary screw compressors. Pressures are available up to 500 psig (34 bar). 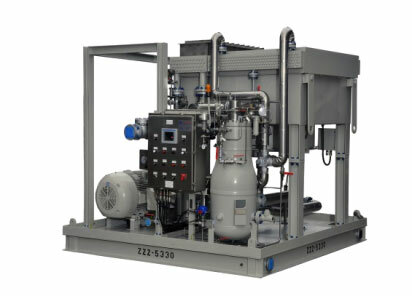 GENERON works with Gardner Denver, Kaeser, Sullair, and other major compressor suppliers. As a world leader in membrane and adsorption technology, GENERON provides a full range of Instrument Air Packages to its clients. These packages can be utilized with Primary Air Compression to reduce the overall system size, as well as installation cost and time. Standard systems include available pressure dew points of +40°F (4°C) and -40°F (-40°C); and optimal technologies are available to reduce the dew point to less than –100°F ( -73°C) where desired, and pressures up to 350 psig (24 barg). 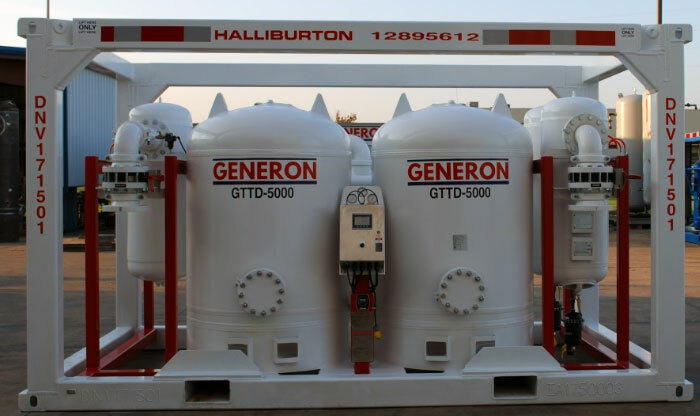 GENERON offers a High pressure option, available to 500 psig (35 bargHigh quality components and manufacturing techniques are used to ensure a continuous supply of clean, dry air and reliable operation. 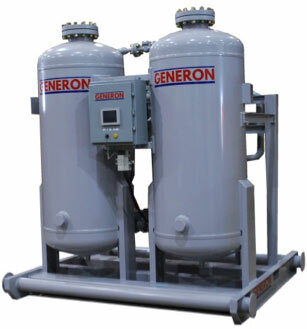 GENERON Heatless Desiccant Dryers consist of two towers containing a specialized material that absorbs the water vapor in the saturated compressed air stream. The amount of time that the saturated air remains in contact with the adsorption material dictates the output air dew point (dryness) of the product. When compressed air enters the GENERON system through coalescing filters, 99.999% of oil, water and liquid contaminates are removed. The filtered air is then directed by the solid state controller to the on-line tower where saturated air and water vapor adhere to the desiccant in a process called adsorption. While the active tower dries the incoming air, the off-line tower regenerates by purging the entrained moisture to the atmosphere with a stream of dry air. The dry air flow is directed to exit the system through a dust removal filter, providing a clean & dry air supply into your plant distribution system. 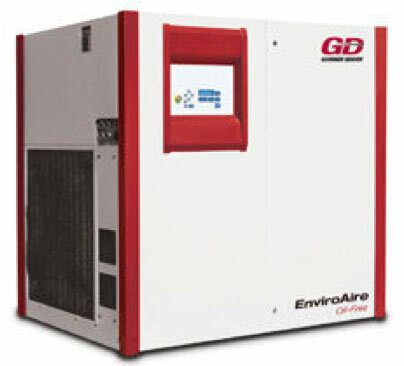 GENERON systems provide moisture free air down to a -40° or -100°F pressure dew point. 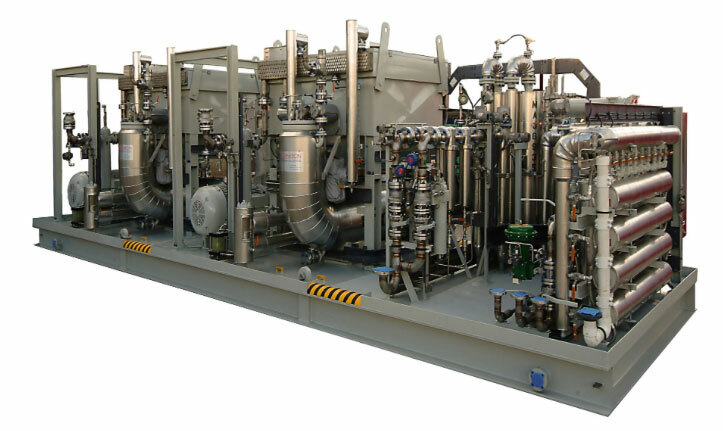 Using our patented GENERON® Dehydration Membranes, GENERON designs and provides highly compact and virtually maintenance- free Instrument Air Packages. The GENERON® Membrane Air Dryers are ideal for pressure dew points of 40°F (4.4°C) and point source applications. The membrane dryers are robust and need very little maintenance. They are easily scalable to any size – just add more membranes to increase the capacity! The compressed air, saturated with water vapor, enters the membrane housing and flows through a bundle of GENERON® hollow-fibers. GENERON® Dehydration Membranes allow the water vapor to pass and separate away from the main air stream, while the air stream remains and is discharged as a dry product. A small fraction of the dry air is redirected internally to sweep the permeated water vapor out of the module through a vent. GENERON® Membrane Dryers (hyperlink to table 2) perform with the lowest purge-air loss for the highest possible efficiency, saving you time and money in the production process. 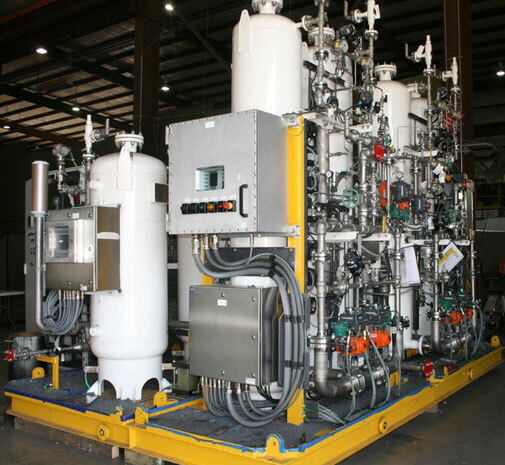 ATEX certified, CE/ PED marked, includes GENERON® Compressors, GENERON® Patented Dehydration Membranes, and GENERON® patented Nitrogen Membrane Modules. For more information on GENERON® Instrument Air Systems, please contact us at +1.713.937.5200 or or using our online form.